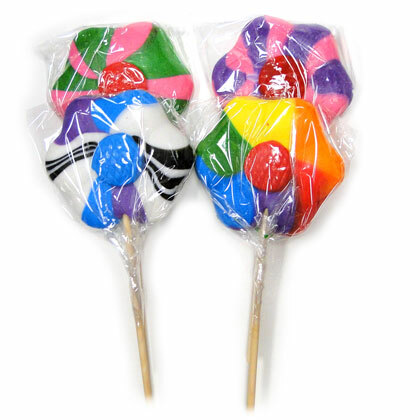 Large daisy lollipop is assorted colors. Flower portion is approx. 4.5 inches wide at the widest part and with handle from top to bottom approx. 10.25 inches tall. Net weight 5 oz. Tutti frutti flavor. Made in USA. Wanted to thank you for all your help. Got the flowers !! All whole ! !